My name is Stephen Eason and I jointly own ELB Partners Ltd together with my brother Peter. We are based in Wimbledon and provide a palletised distribution solution to greater London. Since joining FORS we have seen a significant cut in our fuel usage, and together with the purchase of modern Euro 6 equipped trucks we are proud to see our carbon footprint continuing to show an annual decrease. Through FORS driver training we have also seen an improvement in our road safety record and OUR PCN & collision records. ELB made the decision to become a FORS member because we share the similar values. Our main aim was, in partnership with FORS to improve efficiency, and provide a greener & safer environment for Londoners. We have been members of FORS since July 2010. Our membership has opened avenues for new business, as well as raising our profile within the community. 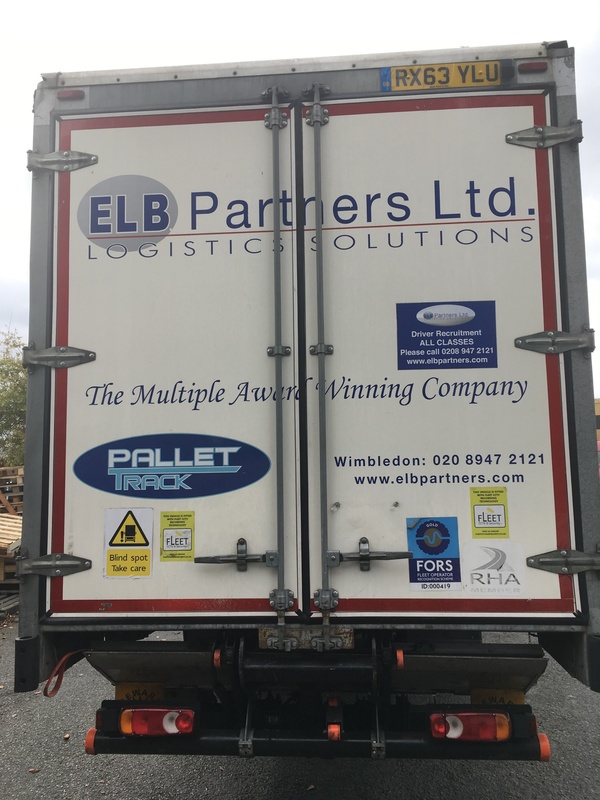 Having successfully renewed our Bronze, and then achieving Silver & Gold membership, it showed our Pallet Network partners, and our customers the commitment ELB have undertaken to achieve the high standards demanded from a professional transport company operating in London. From here we are encouraged to maintain a fleet of modern vehicles, fitted with the most up to date technology, driven by highly trained professional drivers. The company continues to improve its efficiency, performance and reputation as London’s leading haulier. This is achieved through hard work, dedication and training. First class training is received through FORS workshops and filters down throughout the whole company. The progression from Bronze to Gold, for ELB is a natural progression. ELB always strive to achieve the best, and FORS Gold is part of the goal. The above table shows improvements in the number of PCN’s issued in relation to the amount of deliveries made. Driver health and fitness review – All drivers are required to complete an annual medical declaration and are given mandatory 6 monthly eye tests. Strategy for recruiting drivers – In Partnership with EP training we advertise for new drivers to join the industry promising them an interview with a view to employment. We also constantly advertise on Indeed for existing drivers. Noise assessment – we have a dedicated noise & pollution policy. 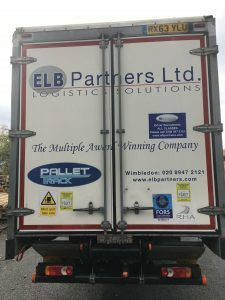 Modal shift and alternative vehicles – ELB provide final mile delivery into central London, therefore alternative methods of transport are not viable. However, we have continued to monitor, C&D trucks using alternative fuel or electricity. These are discussed at management meetings. What are your plans for the future? We continue to replace the older trucks with Euro 6. We also continue to monitor, alternative fuels. This will help our company to do our bit towards reducing pollution. The progression from Bronze to Gold, for ELB is a natural progression. ELB always strive to achieve the best, and FORS Gold is part of the goal. It is imperative that professional companies work together to achieve a reduction in London pollution.